Do you want to become a product owner who motivates your team and ensures project success? Simplilearn’s Professional Scrum Product Owner certification training course will provide participants the foundational knowledge needed to work with Scrum in a highly practical way. What is the focus of this course? The PSPO training course is designed so that learners get the comprehensive knowledge to clear both PSPO-1 and PSPO-2 certifications.The aim of this course is to help potential product owners to help reduce the cost of their products and systems and in turn reap profits for their organization. What are the career benefits of this course? The ability fulfill the role of a product owner on a Scrum team. 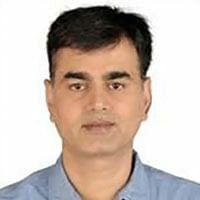 Naveen is a professional agile coach and Certified Scrum Developer (CSD) trainer. He is having 20 years of experience in software development. Naveen is Certified LeSS (Large-Scale Scrum) Practitioner and have helped organizations is agile adoption. 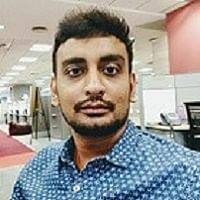 Venkatesh Rajamani is a Certified Team Coach® from Scrum Alliance, Professional Scrum Trainer ® and Scaled Professional Scrum from Scrum.org, and ICagile Agile Certified Coach®. He has experience as an Agile coach. The PSPO certification is provided by scrum.org. Who are the trainers for the course? The trainers are industry-recognized highly professional trainers. A venue will be determined a few weeks before the training and you will be notified via email. Please contact our 24/7 support team for more details. Do you provide transportation and refreshments with the training? No, we do not provide transportation or refreshments with the training. Can I change the city, location, and date after enrolling for any classroom training? Yes, you can change the city, location and date for any classroom training. However, a rescheduling fee is charged. For more information, please refer to our Rescheduling Policy.